1. Ms. Sanchez, a BSE graduate, has not passed the LET yet. On what capacity can she be hired? 2. Teacher M suffers from hypertension and experiences difficulty in speech. Which would be affected if he continues teaching? 3. Teacher N wants to continue with her study leave for another six months after completing a school year. Could she be allowed? a. Yes, if her grades are excellent. b. Yes, but without compensation. c. No, other teachers should have the chance. d. No, study leave should not exceed one year. 4. Teacher O tutors her students, who have difficulty coping with Math, after class hours. Is her act ethical? a. Yes, provided she receives jut compensation. b. Yes, provided she does not require a fee from the parent. c. No, that is unfair to other students. d. No, she should be free after her official time. 5. Teacher P, the English coordinator, was assisted by Teacher Q throughout the celebration of English Week. What could Teacher P do to acknowledge Teacher Q's assistance? b. Keep quiet about the assistance received. c. Mention formally to the principal the assistance received. d. Make an announcement giving due recognition of the assistance received. 6. Is holding a rally to protest the delay of benefits due a person ethically acceptable? a. Yes, when hold while on official time. b. Yes, when hold outside the official time. c. Yes, when hold with approval of the principal. d. Yes, when hold together with parents and students. 7. What should a teacher do when he/she falls in love with his/her student? a. Court the student at home. b. Propose and marry the student. c. Wait till the student is no longer under his/her tutelage. d. Act normally as if nothing happens and the student does not exist. 8. When a Principal starts to exercise his/her powers over making and promoting students, is his/her action acceptable? a. Yes, when the teacher cannot make decision on time. b. Yes, when there is abuse of judgment on the part of the teacher. c. No, teachers are more knowledgeable of their student's performance. d. No, grading and promoting students are exclusive functions of teachers. 9. Teacher R was asked by her principal to teach pre-school class in addition to her regular grade one class. What will be the basis for her additional compensation? 10. Which of the following shows responsiveness of public officials and employees? 11. Teacher S, a Science teacher has been accused of sexual harassment by one of her students. What should the school principal do? a. Ask the teacher to surrender to the police. b. Tell the teacher to stop reporting to school. c. Advice the teacher to transfer to other school. d. Create a committee to investigate the accusation. 12. Teacher T receives a love letter from one of her third year high school students in Eenglish. What should Mr. Martin do? a. Read her letter to the class. b. Let the student express her feelings through letters. c. Return the letter to the student and tell her not to do it again. d. Surrender the letter to the parent of the student. 13. Mr. Nico, a Social Science teacher is advocating reforms which the principal failed to recognize. What should the principal do? a. Subject Mr. Nico to a disciplinary measure. c. Call Mr. Nico to the office and clarify things out with him. d. Send Mr. Nico a memo requiring him to explain his behavior. 14. Which of the following manifests "Commitment to democracy" as explained in RA 6713? a. Maintaining the principle of accountability. b. Committing to democratic values and ways of life. c. Manifesting by deeds the supremacy of civilian authority over the military. 15. Teacher U was ordered by her principal to come to school on four consecutive Saturdays for the training of students' editorial staff of their school paper. Is this allowed under RA 4670? a. Yes, provided the teacher is compensated. b. No, because it's not within the regular functions of the classroom teacher. 16. Dr. Velasco, a schools' division superintendent acted on the complaint filed by a group of parents against the alleged misconduct of a particular teacher. She issued a memorandum requiring her to take a leave of absence for a week while the complaint is being heard yet. Was the action of the superintendent legal? a. Yes, because she is the superintendent. b. No, because the complaint has not been heard yet. c. Yes, the superintendent has disciplinary authority over teachers. d. No, the superintendent has no disciplinary authority over teachers. 17. A school's academic coordinator has been found to have engaged in gambling which has caused him to be absent most of the time. Can his certificate of registration as a teacher be revoked? a. No, unless he's proven guilty. b. No, because he's protected by his rights as a teacher. c. Yes, because he's incompetent. d. Yes, because habitual gambling is a dishonorable conduct and is against the practice of teaching. 18. 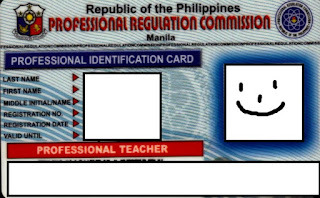 Mr. Santos is a holder of a valid certificate of eligibility as a teacher issued by the Civil Service Commissioner and the then DECS, while Mr. Cruz is a registered professional. 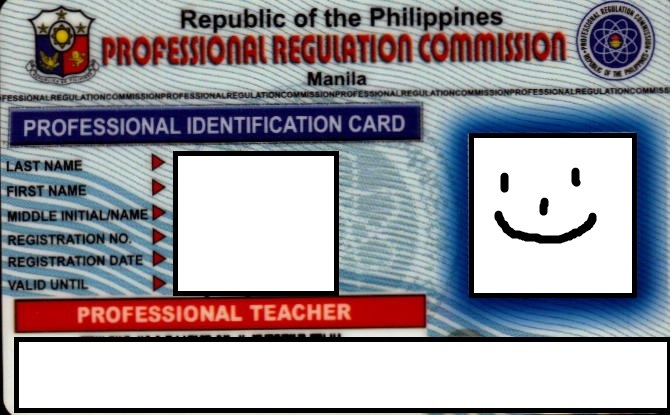 Who is allowed to practice the teaching profession in the Philippines? a. Mr. Santos, because of his CSC eligibility certificate. b. Mr. Cruz, because their credentials are both recognized by law. c. Both of them, because their credentials are both recognized by law. d. Neither of the two because they did not take and pass the LET. 19. What is RA 6713 also called? 20. Teacher V, a BEED graduate is preparing for the LET. Which of the following should she focus her attention more? 21. What norm of conduct is manifested by being loyal to the republic and to the Filipino people? 22. Mr. Salazar, a school superintendent, filed his statement of assets and liabilities upon assuming to office. Under what ethical standard does this practice fall? 23. Principal B acted on the letter of complaint received by his office 30 days after saying he was preoccupied by more important things the past days. Is his reason acceptable? a. Yes, because he has to prioritize things. b. No, RA 6713 states that public officials and employees must act promptly on letters and requests within 15 working days from receipt thereof. c. Yes, because the letter of complaint can wait and is of no urgency. d. No, the reason is simple unacceptable. 24. Which of the following is NOT in the norms of conduct under RA 6713? 25. Which of the following is true about the teacher as a person under the Code of Ethics for Professional Teachers?